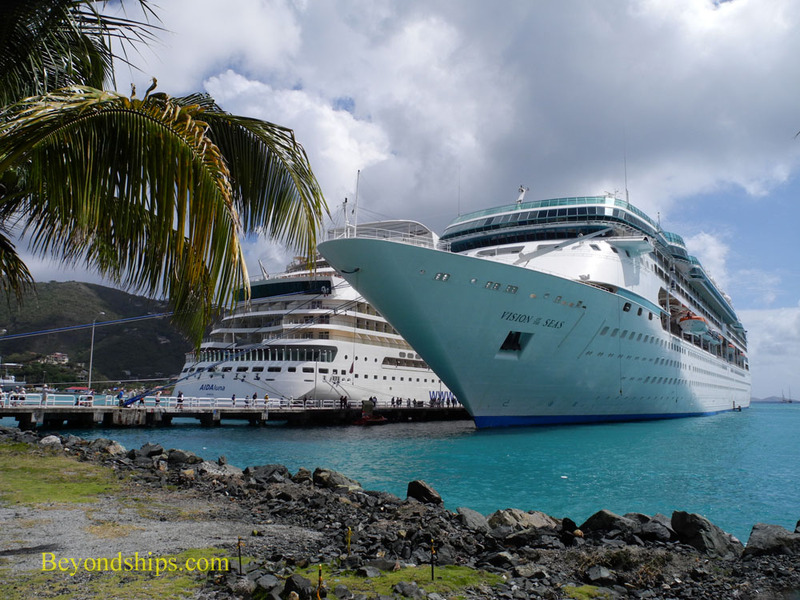 Most cruise ships calling at Tortola dock at the Cruise Pier in Road Town. 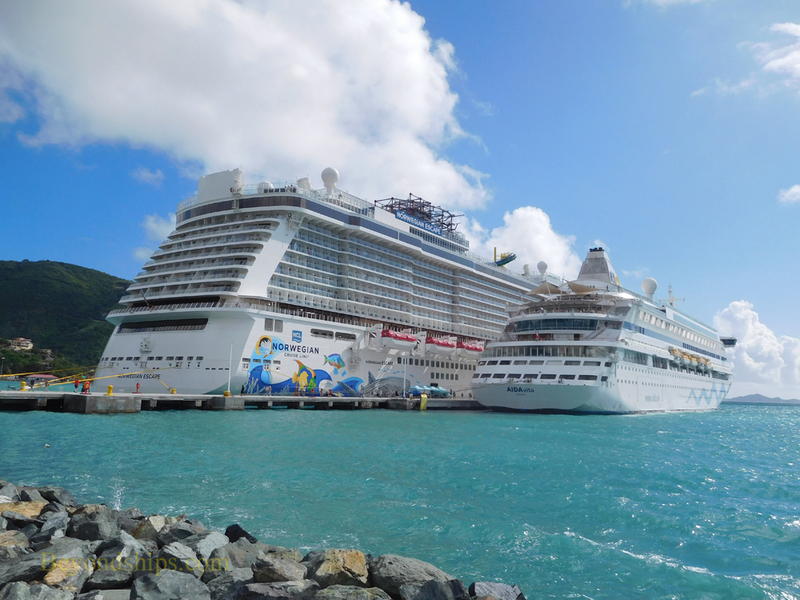 The pier is big enough to handle two large cruise ships simultaneously. 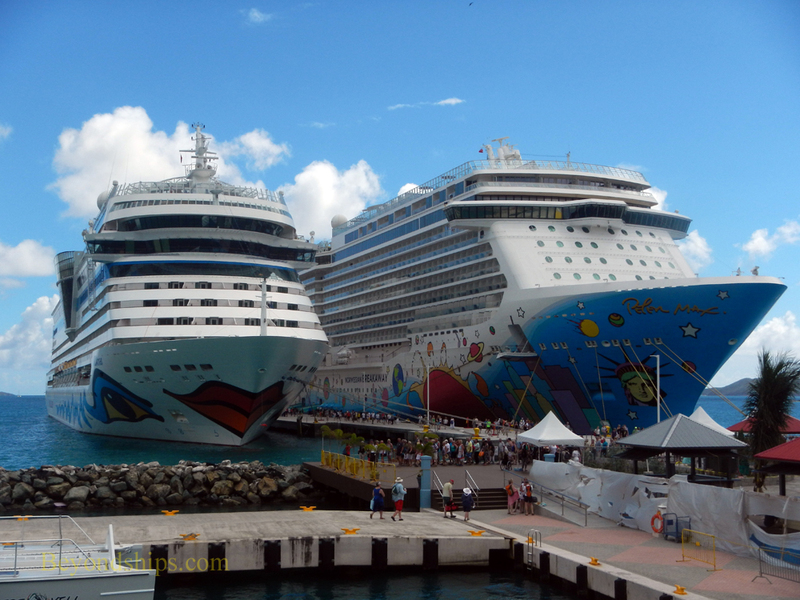 It was expanded in 2015 to enable it to accommodate ships up to 180,000 gross tons, which means that it can host every current cruise ship except an Oasis class ship. 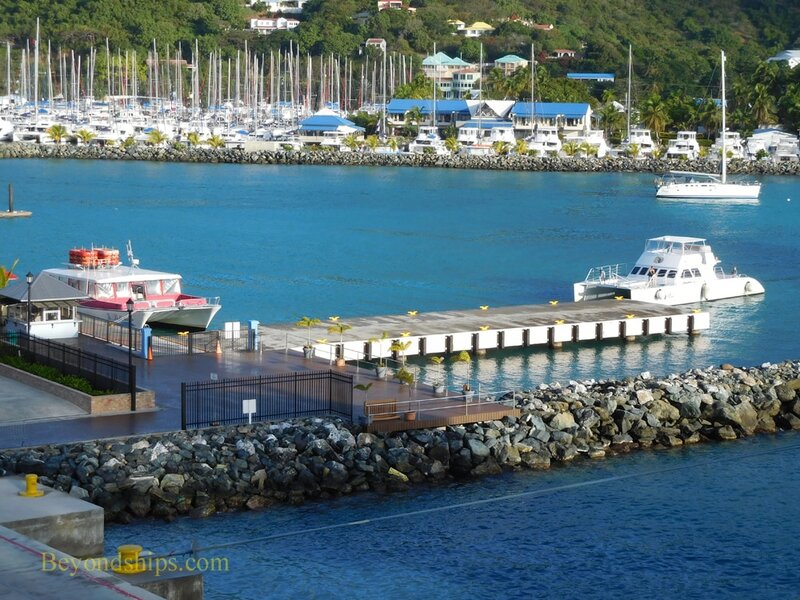 A new cruise complex is being constructed at the foot of the pier called Tortola Pier Park. It is 80,000 square feet and in addition to an administration building there will be 50 shops and restaurants. There is also a place for land-tours to assemble and a separate pier for boat tours. Much of the complex is already open. The Cruise Pier attaches to an area of land reclaimed from the sea. As a result, it is not in the center of the Road Town business district. 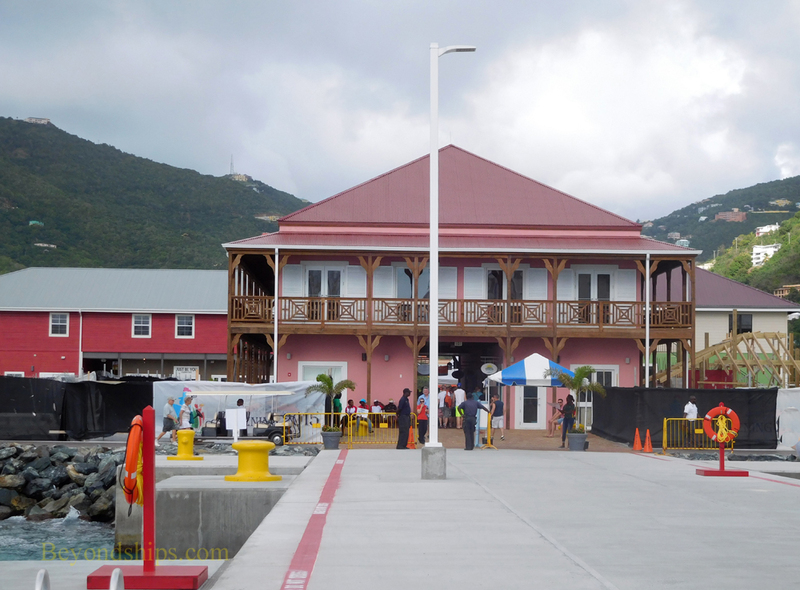 However, the area surrounding the Cruise Pier has become more and more developed with government buildings and shops. 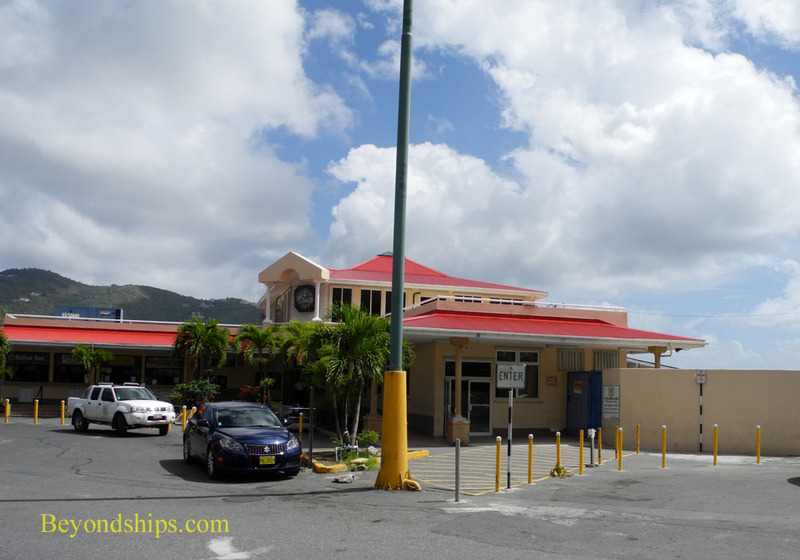 Furthermore, the center of the Road Town business district is within (long) walking distance from the Cruise Pier. Road Town sits at the end of a U-shaped bay called Baughers Bay. Ships with drafts too deep to navigate the bay anchor offshore and ferry passengers to and from the island by tender. The tenders arrive and depart from the Road Town Jetty. This facility is closer to the center of town than the Cruise Pier. It is primarily used by local ferries. 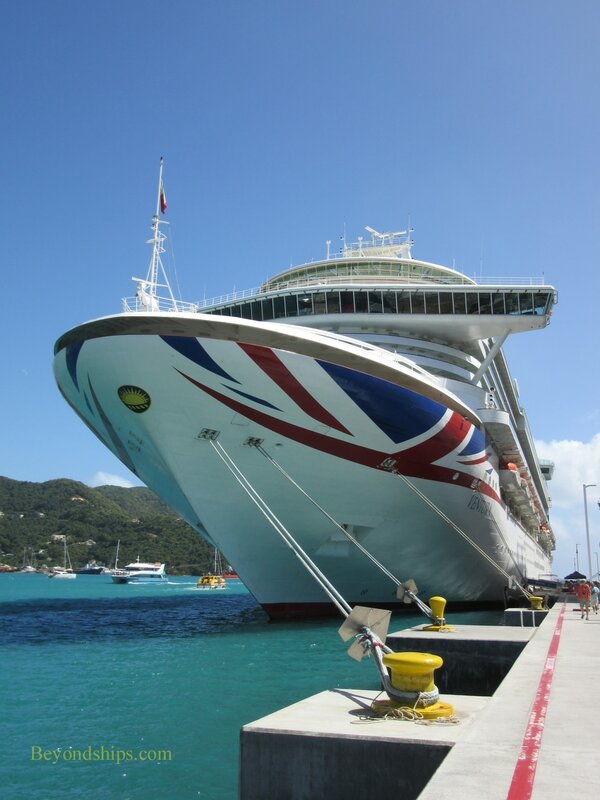 Below: P&O Cruises' Ventura docked at the cruise park. Below: The cruise terminal building. Above: The cruise park includes a pier for shore excursions involving tour boats. 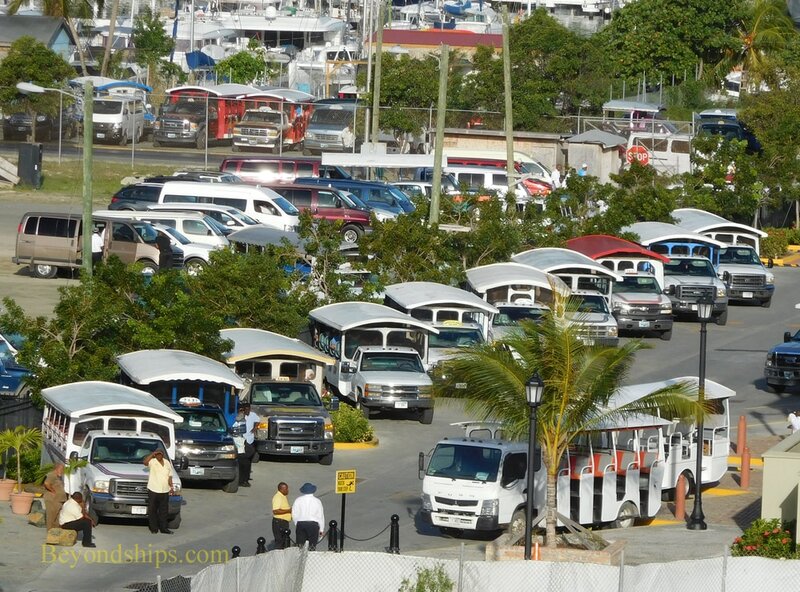 Below: Taxis and safari vehicles waiting by the cruise park. 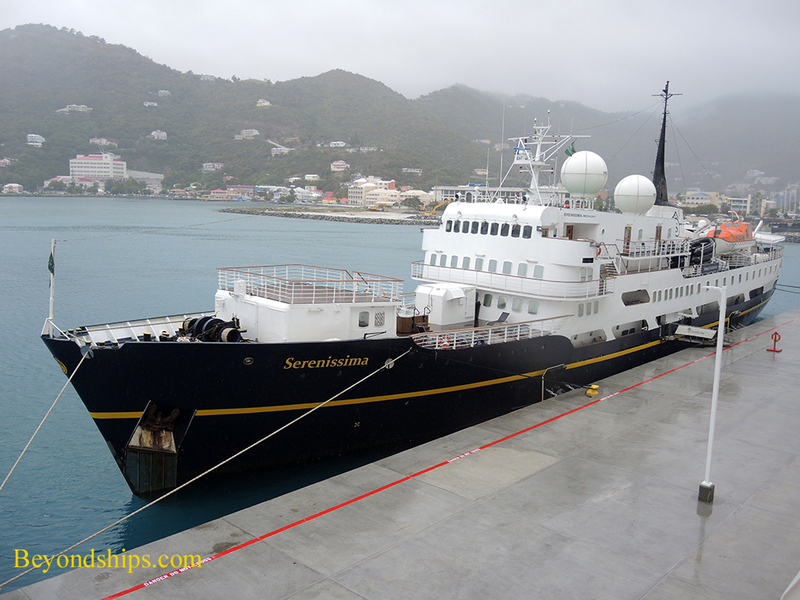 Above: Noordam arriving in Tortola. 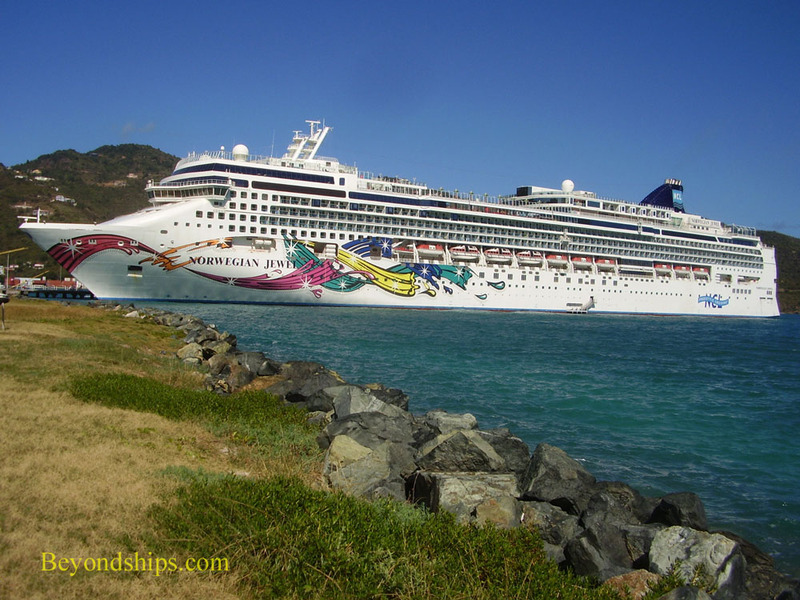 Below: Norwegian Jewel docked in Tortola. 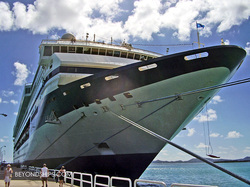 Above: Vision of the Seas in Tortola. 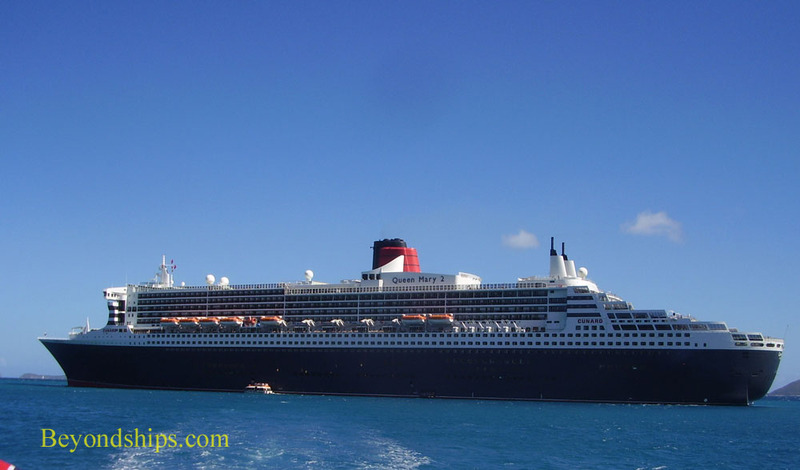 Below: Queen Mary 2 tendering off of Tortola. 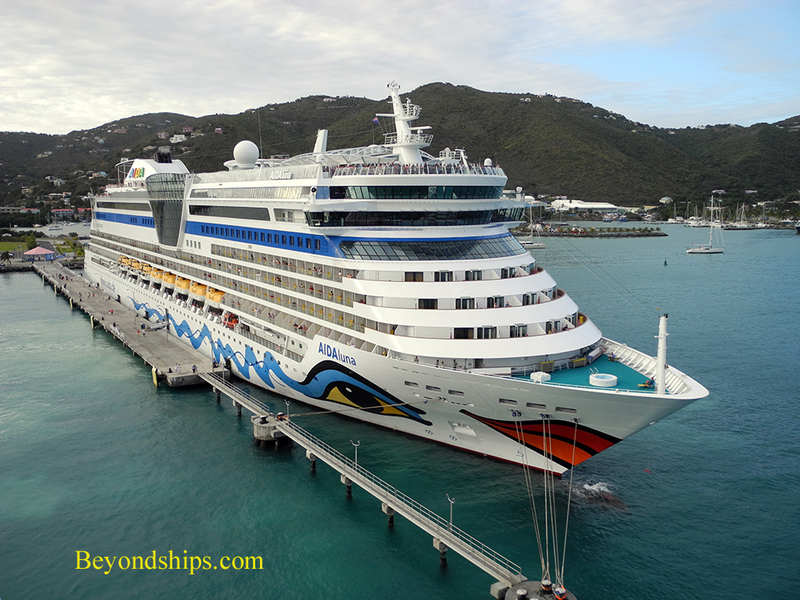 Above left: AIDAluna at the cruise ship pier in Road Town, Tortola. 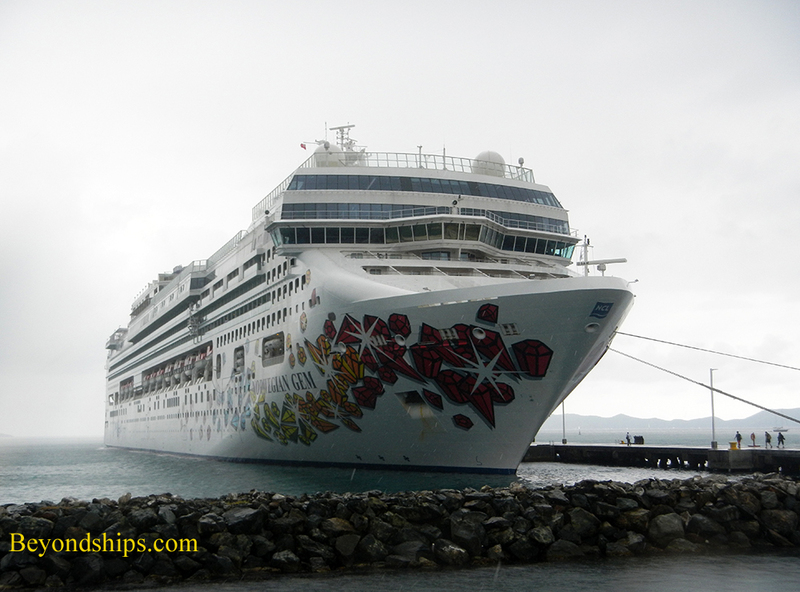 ​Above right: AIDAmar and Norwegian Breakaway.